TES is dedicated to supporting the world’s teachers. Our mission is to enable great teaching by helping educators to find the tools and technology they need to excel and by supporting them throughout their career and professional development. We are home to the world’s largest online community of teachers, with 7.9 million registered users. This network is one of the fastest growing of any profession globally and helps to support, guide and inspire educators around the world. 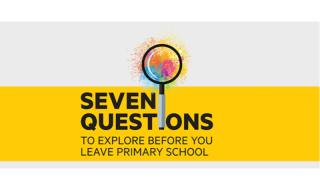 7 questions to inspire your students to make creative connections between STEM subjects and art and design – and beyond!